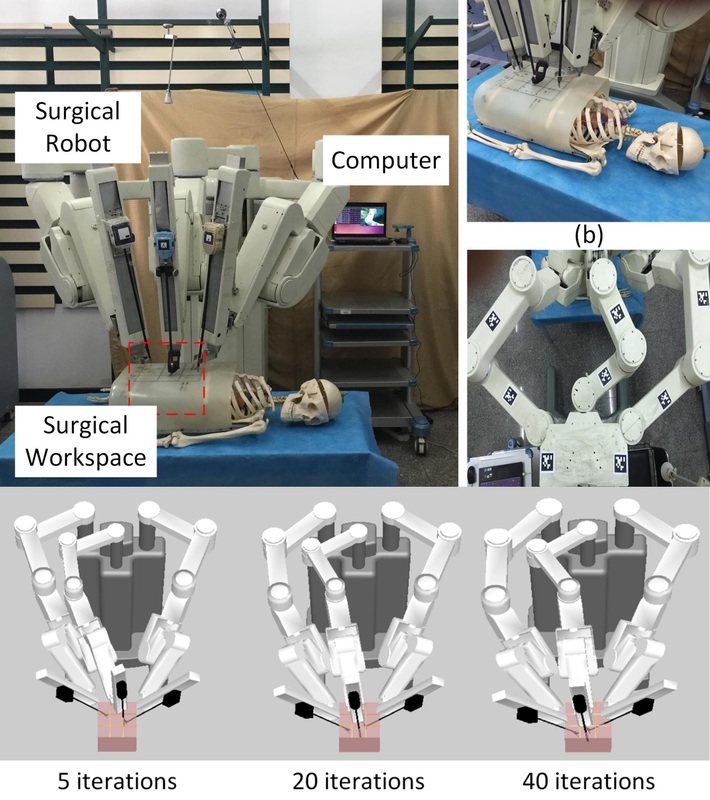 An interesting article appeared at IEEE ICRA about the controller design of the Chinese MicroHand-S system: Zhang, Yan, Du, "Preoperative Planning for the Multi-arm Surgical Robot using PSO-GP-based Performance Optimization". 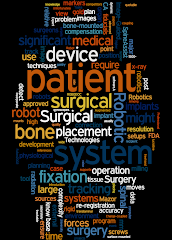 "Many recent studies in preoperative planning have focused on the pose selection of the robot and the port placement. However, as such techniques cannot evaluate the performance of the multi-arm cooperation, their applications are constrained in real practise with multi-arm surgical robots. In this paper, the surgical workspace is divided and the subspaces are assigned with different weights to reflect the internal differences within the surgical workspace. We propose three metrics to evaluate the performance of the multi-arm surgical robot: Global Isotropy Index (GII) to measure the dexterity of one single robot arm; Cooperation Capability Index (CCI) to reflect the performance of the multi-arm cooperation; Minimum Distance Index (MDI) to describe the collision avoidance of the robotic arms. We also propose a combination of Particle Swarm Optimization (PSO) and Gaussian Process (GP) to locate the port placement and robot positioning. The proposed integrated PSO-GP-based optimization strategy is implemented on a three-arm surgical robot. Two sets of experiments are carried out to validate our method. The results demonstrate that the performance optimization strategy based on PSO-GP is capable of guiding surgeons to plan an intervention with the multi-arm surgical robot."